This venison casserole benefits from long, slow cooking. On the hob, heat the olive oil and butter in a large lidded casserole dish. 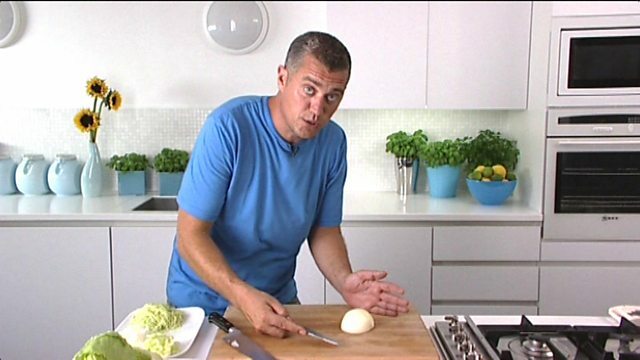 Add the onions and cook until softened, but not browned. Add the garlic, bacon and mushrooms and cook for a further minute. 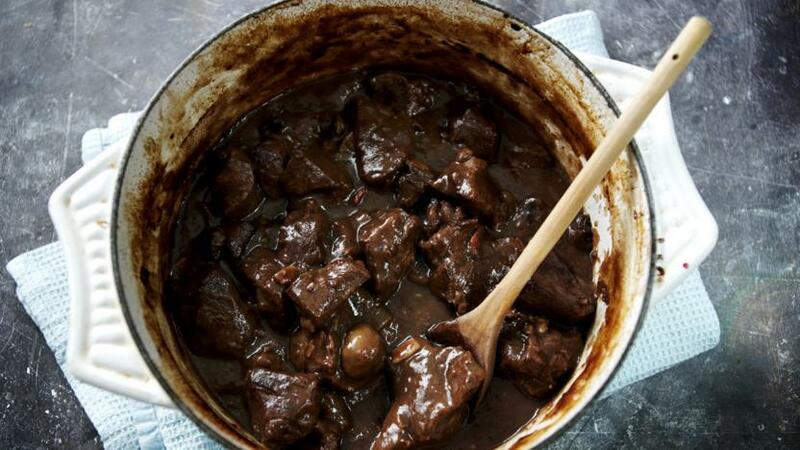 In a frying pan, brown the venison a handful at a time and add to the casserole. When all the meat is browned, add the red wine, water, stock cubes, redcurrant jelly and salt and pepper. Bring to the boil and stir well. Put the lid on the casserole and place in the middle of the oven - cook for 90 minutes. Remove from the oven. Make a paste with the cornflour and two tablespoons of water. Add as much of the paste to the casserole as is needed to thicken the sauce - add a little at a time if you are not sure how much you will need. Transfer the casserole to the hob, and, on a low heat, cook until the gravy has thickened - this will take about five minutes. Serve with new potatoes and wilted spinach. Decorate each plate with a sprig of rosemary or thyme and a bunch of fresh redcurrants.